For other places with the same name, see Hampstead (disambiguation). Hampstead (/ˈhæmpstɪd/ or /-stɛd/), commonly known as Hampstead Village, is an area of London, England, 4 miles (6.4 km) northwest of Charing Cross. Part of the London Borough of Camden, it is known for its intellectual, liberal, artistic, musical and literary associations and for Hampstead Heath, a large, hilly expanse of parkland. It has some of the most expensive housing in the London area. The village of Hampstead has more millionaires within its boundaries than any other area of the United Kingdom. The name comes from the Anglo-Saxon words ham and stede, which means, and is a cognate of, the Modern English "homestead". Early records of Hampstead can be found in a grant by King Ethelred the Unready to the monastery of St. Peter's at Westminster (AD 986), and it is referred to in the Domesday Book (1086) as being in the hundred of Ossulstone. The growth of Hampstead is generally traced back to the 17th century. Trustees of the Well started advertising the medicinal qualities of the chalybeate waters (water impregnated with iron) in 1700. Although Hampstead Wells was initially most successful and fashionable, its popularity declined in the 1800s due to competition with other fashionable London spas. The spa was demolished in 1882, although a water fountain was left behind. Hampstead started to expand following the opening of the North London Railway in the 1860s (now the London Overground with passenger services operated by Transport for London), and expanded further after the Charing Cross, Euston & Hampstead Railway opened in 1907 (now part of London Underground's Northern line) and provided fast travel to central London. Much luxurious housing was created during the 1870s and 1880s, in the area that is now the political ward of Frognal & Fitzjohns. Much of this housing remains to this day. Cultural attractions in the area include the Freud Museum, Keats House, Kenwood House, Fenton House, the Isokon building, Burgh House (which also houses Hampstead Museum), and the Camden Arts Centre. The large Victorian Hampstead Library and Town Hall was recently converted and extended as a creative industries centre. On 14 August 1975 Hampstead entered the UK Weather Records with the Highest 155-min total rainfall at 169 mm. As of November 2008 this record remains. The average price of a property in Hampstead was £1.5 million in 2018. Hampstead became part of the County of London in 1889 and in 1899 the Metropolitan Borough of Hampstead was formed. The borough town hall on Haverstock Hill, which was also the location of the Register Office, can be seen in newsreel footage of many celebrity civil marriages. In 1965 the metropolitan borough was abolished and its area merged with that of the Metropolitan Borough of Holborn and the Metropolitan Borough of St Pancras to form the modern-day London Borough of Camden. Hampstead is part of the Hampstead and Kilburn constituency, formed at the 2010 general election. It was formerly part of the Hampstead and Highgate constituency. Since May 2015 the area has been represented on Camden Council by Conservative Party councillors Tom Currie, Oliver Cooper and Stephen Stark. The area has a significant tradition of educated liberal humanism, often referred to (often disparagingly) as "Hampstead Liberalism". In the 1960s, the figure of the Hampstead Liberal was notoriously satirised by Peter Simple of the Daily Telegraph in the character of Lady Dutt-Pauker, an immensely wealthy aristocratic socialist whose Hampstead mansion, Marxmount House, contained an original pair of Bukharin's false teeth on display alongside precious Ming vases, neo-constructivist art, and the complete writings of Stalin. Michael Idov of The New Yorker stated that the community "was the citadel of the moneyed liberal intelligentsia, posh but not stuffy." As applied to an individual, the term "Hampstead Liberal" is not synonymous with "champagne socialist" but carries some of the same connotations. The term is also rather misleading. As of 2018, the component wards of Hampstead (Swiss Cottage, Frognal and Fitzjohns, Hampstead Town and Belsize) have mixed representation. Hampstead Town and Frognal and Fitzjohns wards elects 3 Conservative councillors, Swiss Cottage elects 3 Labour councillors, while Belsize is represented by 2 Liberal Democrat and 1 Conservative councillor. Swiss Cottage is a competitive Conservative and Labour marginal, and Frognal and Fitzjohns is a safe Conservative ward. Hampstead Town (including the area of Hampstead Village and South End Green) has seen a number of tightly-fought Conservative and Liberal Democrat contests, and the ward has had mixed representation in recent decades. In the most recent election, the highest scoring candidates for each of the three parties in Belsize were within 200 votes of each other. To the north and east of Hampstead, and separating it from Highgate, is London's largest ancient parkland, Hampstead Heath, which includes the well-known and legally-protected view of the London skyline from Parliament Hill. The Heath, a major place for Londoners to walk and "take the air", has three open-air public swimming ponds; one for men, one for women, and one for mixed bathing, which were originally reservoirs for drinking water and the sources of the River Fleet. The bridge pictured is known locally as 'The Red Arches' or 'The Viaduct', built in fruitless anticipation of residential building on the Heath in the 19th century. Local activities include major open-air concerts on summer Saturday evenings on the slopes below Kenwood House, book and poetry readings, fun fairs on the lower reaches of the Heath, period harpsichord recitals at Fenton House, Hampstead Scientific Society and Hampstead Photographic Society. The largest employer in Hampstead is the Royal Free Hospital, Pond Street, but many small businesses based in the area have international significance. George Martin's AIR recording studios, in converted church premises in Lyndhurst Road, is a current example, as Jim Henson's Creature Shop was before it relocated to California. The area has some remarkable architecture, such as the Isokon building in Lawn Road, a Grade I listed experiment in collective housing, once home to Agatha Christie, Henry Moore, Ben Nicholson and Walter Gropius. It was recently restored by Notting Hill Housing Trust. Village Shul, synagogue, located at 27 New End, Hampstead. Hampstead was once home to many art galleries but not many are now left. The Catto Gallery has been in Hampstead since 1986 and has represented artists like Ian Berry, Philip Jackson, Chuck Elliott, Walasse Ting and Sergei Chepik over the years. Hampstead has an eclectic mix of restaurants ranging from French to Thai. Notable and longstanding are La Gaffe, Gaucho Grill, Jin Kichi, Tip Top Thai, Villa Bianca and, in May 2016, Patara. After over a decade of controversy and legal action from local residents, McDonald's was finally allowed to open in Hampstead in 1992, after winning its right in court, and agreeing to a previously unprecedented re-design of the shop front, reducing the conspicuousness of its facade and logo, but closed in November 2013. Hampstead's rural feel lends itself for use on film, a notable example being The Killing of Sister George (1968) starring Beryl Reid and Susannah York. The opening sequence has Reid's character June wandering through the streets and alleyways of Hampstead, west of Heath Street, around The Mount Square. The Marquis of Granby pub, in which June drinks at the opening of the film, was actually The Holly Bush, at 22 Holly Mount. Another example is The Collector (1965), starring Terence Stamp and Samantha Eggar, where the kidnap sequence is set in Mount Vernon. Some scenes from An American Werewolf in London (1981) are shot on Hampstead Heath, Well Walk and Haverstock Hill. More recently Kenwood House is the set of the "film-within-the-film" scene of Notting Hill (1999). Outdoor scenes in The Wedding Date (2005), starring Debra Messing, feature Parliament Hill Fields on the Heath, overlooking west London. Parliament Hill also features in Notes on a Scandal (2006) together with the nearby areas of Gospel Oak and Camden Town. Four Weddings and a Funeral (1994) features the old Hampstead Town Hall on Haverstock Hill. The film Scenes of a Sexual Nature (2006) was filmed entirely on Hampstead Heath, covering various picturesque locations such as the 'Floating Gardens' and Kenwood House. A musical specifically focusing on the area, Les Bicyclettes de Belsize (1968), tells the story of a young man's cycle journey around Hampstead. After crashing into a billboard poster, he falls in love with the fashion model depicted on it. In February 2016, principal photography for Robert Zemeckis' war film Allied starring Brad Pitt and Marion Cotillard, began with the family home located on the corners of Christchurch Hill and Willow Road in Hampstead. The 2011 census showed that the population of Hampstead Town ward was 80% white (54% British, 24% Other, 2% Irish). The largest non-white group, Other Asian, claimed 4%. 35% was Christian, 27% irreligious and 10% Jewish. 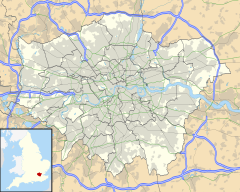 The whole town had a population of 60,918 in 2011 and includes the wards of Frognal, Hampstead Town, Belsize, West Hampstead and Swiss Cottage. Hampstead has a major bus terminus known as Hampstead Heath located in South End Green. Its most frequent service is Route 24 which for over 100 years has linked this area with the West End, Victoria and Grosvenor Road in Pimlico. Bus routes that currently serve Hampstead are: 24 46 168 210 268 603 C11 and N5. The nearest London Underground stations are Hampstead and Belsize Park on the Northern line and Swiss Cottage and Finchley Road on the Jubilee line. The stations are within Travelcard Zone 2. Hampstead is the boundary with Travelcard Zone 3. Construction of North End Underground station was started but not completed. Hampstead Heath railway station is situated by South End Green while Finchley Road & Frognal station is on the western side of Hampstead. Both stations are part of the London Overground network. Sigmund Freud's final residence, now dedicated to his life and work as the Freud Museum, 20 Maresfield Gardens, Hampstead. Hampstead has long been known as a residence of the intelligentsia, including writers, composers, ballerinas and intellectuals, actors, artists and architects – many of whom created a bohemian community in the late 19th century. After 1917, and again in the 1930s, it became base to a community of avant garde artists and writers and was host to a number of émigrés and exiles from the Russian Revolution and Nazi Europe. There are at least 60 English Heritage blue plaques in Hampstead commemorating the many diverse personalities that have lived there. Hampstead is referred to in the song "Young Conservatives" by The Kinks and in "Cross-Eyed Mary", "Mother Goose" and "A Small Cigar" by Jethro Tull. Hampstead is referenced in a Monty Python sketch where a famous playwright (with a northern accent and working-class look) sarcastically remarks to his son (who works in a mine): "Hampstead wasn't good enough for you, eh? You had to go poncin' off to Barnsley". Hampstead is the fictional location of Lucy Westenra's tomb in Bram Stoker's novel Dracula. Lucy lured children to Hampstead Heath at night to drink their blood. During the course of their investigation, Drs. Van Helsing and Seward dined at Jack Straw's Castle and caught a cab near Spaniards Inn. In Charles Dickens' comic novel The Pickwick Papers, Pickwick writes a scientific paper, "Speculations on the Source of Hampstead Ponds", referring to the ponds on Hampstead Heath. Hampstead is mentioned in the title of the book Black Swine in the Sewers of Hampstead by Thomas Boyle. The book, published in 1990, examines the development in mid-Victorian Britain of sensationalism in the popular press and of sensation novels in literature, and the nature and causes of both. Hampstead was the subject of a satirical computer adventure game, released in 1984. The local newspapers, as of 2014, were the Hampstead and Highgate Express—known locally as the "Ham and High"—and the free Camden New Journal. The area is also home to the left-wing Labour magazine Tribune and the satirical magazine Hampstead Village Voice. ^ Anna Powell-Smith. "Hampstead | Domesday Book". Domesdaymap.co.uk. Retrieved 29 October 2015. ^ "House prices in Hampstead, London". Zoopla. Retrieved 17 November 2018. ^ Idov, Michael. "The Demon Blogger of Fleet Street." New York Magazine. 26 September 2010. Retrieved 3 August 2014. ^ A Church Near You (16 January 2015). "Christ Church Hampstead, Hampstead - London | Diocese of London". Achurchnearyou.com. Retrieved 29 October 2015. ^ "Heath Street Baptist Church". Heathstreet.org. 8 June 2014. Retrieved 29 October 2015. ^ St Luke's was built with financial help from Anne Dudin Brown. ^ St Mary's Chapel was founded by Roman Catholic refugees from the French Revolution. ^ "The Village Shul". The Village Shul. Retrieved 29 October 2015. ^ McCarthy, Fiona (3 November 2013). "Material boy". The Sunday Times. ISSN 0956-1382. Retrieved 9 July 2018. ^ "Artist portrays London in denim". BBC News. Retrieved 9 July 2018. ^ "Catto Gallery". hampsteadvillagelondon.com. Retrieved 9 July 2018. ^ Pettitt, Josh. "Artist recreates Hampstead and Primrose Hill using old pairs of jeans". Hampstead Highgate Express. Retrieved 9 July 2018. ^ "This London Laundrette Is Made Entirely Out Of Denim". Londonist. 25 November 2016. Retrieved 9 July 2018. ^ Castle, Gavin (1 November 2016). "Work by Ian Berry at the Catto Gallery in London". huddersfieldexaminer. Retrieved 9 July 2018. ^ "Catto Gallery - Artists". cattogallery.co.uk. Retrieved 9 July 2018. ^ "Painting by Russian artist Sergei Chepik worth £25,000 stolen from". Evening Standard. Retrieved 9 July 2018. ^ "Royal sculptor hosts new exhibit". Times Series. Retrieved 9 July 2018. ^ "The Wells – Bar and Restaurant". thewellshampstead.co.uk. Retrieved 18 May 2018. ^ Wright, Paul (1 November 2013). 'McDonald’s in Hampstead High Street to close after 21 years'. Ham & High. ^ Services, Good Stuff IT. "Hampstead Town - UK Census Data 2011". ^ Services, Good Stuff IT. "Camden - UK Census Data 2011". ^ "Search Blue Plaques". Blue plaques search – Hampstead. English Heritage. Retrieved 6 September 2014. ^ "Hampstead". World of Spectrum. Retrieved 29 October 2015. ^ Title -- MrMrsMsMiss First name: Surname:. "Home - Hampstead Highgate Express". Hamhigh.co.uk. Retrieved 29 October 2015.